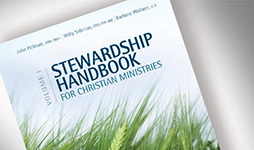 "The Stewardship Handbook for Christian Ministries, Volume 2 materials offer a smorgasbord of information. With so many great topics covered, you can feast on as much or as little as you want, as you need it. I am grateful for this resource to refer to as a development office who seeks to grow in my knowledge and understanding of legalities, technicalities, and wisdom from those who have done this well." 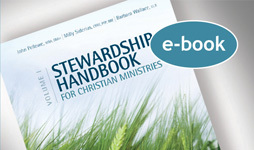 "In a time of unprecedented scrutiny in the non-profit sector, The Stewardship Handbook for Christian Ministries, Volume 2 is a resource that must be close at hand for every charitable organization in Canada. 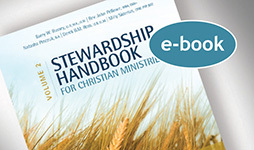 Through this invaluable tool the Canadian Council of Christian Charities has provided the salient information needed, coupled with a fresh approach by each contributor, that will stimulate and inspire your organization to build and care for a sustainable donor base." "This material is an excellent tool to help manage the important legal and ethical responsibilities of resource development. 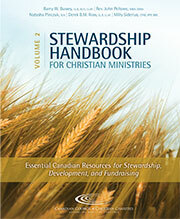 But more importantly, it gives practical steps that will help us create a new culture of generosity."